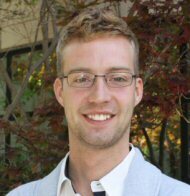 The TAGSA Executive Committee is very pleased to announce the first recipient of the TAGSA Award for Best Conference Session Led by a Graduate Student, Nathan J Lachowsky, a PhD student from the Department of Population Medicine at the University of Guelph. At the recent STLHE conference in Cape Breton, Nathan was the lead presenter for the session titled, “Student Perception of their Learning in a First-Year Seminar. A comparison of three modes of course delivery.” The reviewers of Nathan’s session found the session to be very informative with excellent slides, demonstrating originality, and contribution to the field. First-year seminars (FYS) are one means by which universities are addressing the challenges of large impersonal classes, lack of student engagement, and increased skills development rather than content delivery. This study seeks to understand how pedagogy can influence student’s perception of their own learning. Approximately 260 students, who were enrolled in a FYS at the University of Guelph, in the W 2011 and W 2012 semesters, completed a learning skills questionnaire at the beginning of the seminar and again upon completion. Participants were grouped according to three different pedagogies: classroom-based Enquiry-Based Learning (EBL), online EBL, and classroom-based seminars not using EBL. Results were assessed to identify any change in students’ processing, knowledge, and reasoning skills between the pre- and post-seminar surveys. The results suggest that class size is not the most significant factor in student perceptions of their own learning. Students in seminars using Enquiry-Based pedagogy report that they perceived greater improvement in their learning skills than students in other small seminars. This study addresses the question of the benefits of small classes in the first year. By examining students in seminars that employed different pedagogies, it provides evidence that students in seminars with EBL pedagogy perceive greater improvement of their learning and skills development; however, over all, interdisciplinary First-Year Seminars, which focus on engagement, skills development, and active learning, irrespective of pedagogy, will enhance the first-year experience.